You’ve weighed the pros and cons and you’re ready to make the investment and purchase a Generac automatic generator. At Morrill Electric, we strongly believe that you and your family will be much more safe and comfortable this winter with an automatic generator. Our generator installation company wants homeowners to be aware that there are a few more details to work out before the installation process begins. We’ll help you decipher a few more questions you may be asked so that you can be more prepared. How much power you need. Determining power requirements for your home is one of the most important factors you should work out with your family. Do you have a lot of appliances that need to continue running while the power is out? Do you have computer or other electronic equipment that needs to be protected against power outages? You need to make sure that you are purchasing the correct-sized generator for your power requirements — don’t just look for the smallest, least expensive generator as you could run into issues down the road. Fuel type preferences. You have a few options here when it comes to fuel type. Choose from natural gas, propane or diesel. Generac Generators provide homeowners with a natural gas or diesel option as these are the most reliable. 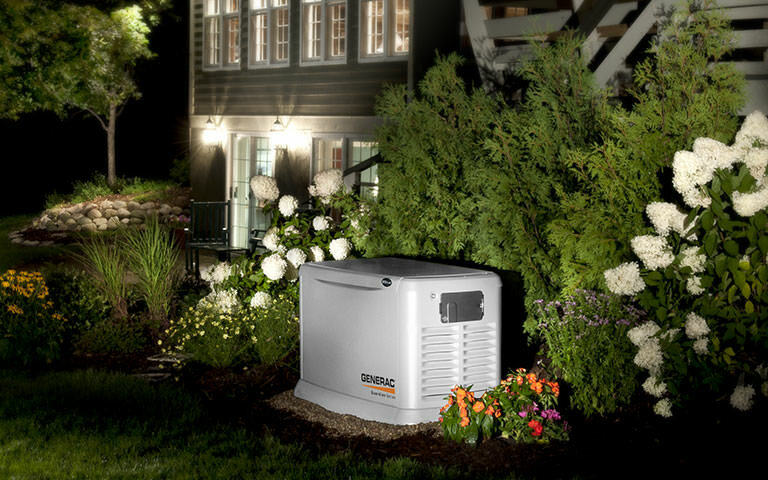 For those looking for an automatic standby generator, Generac offers natural gas generators for homeowners; these are hooked up to the nearest natural gas line to your home and turn on automatically when the electric goes out. Natural gas is also the cheapest option, so if your home is prone to loosing power, this fuel type is your best bet. Location of the generator. Location, location, location! When it comes to installing an automatic standby generator, you’re going to want a specialist to come in and determine the best possible place for it. At Morrill Electric, our licensed technicians will be able to determine where your natural gas line is and from there we will recommend a couple different options as to where the generator should go. Normally, an automatic generator will be in a similar location as your HVAC unit in terms of distance from your home. Generator warranty length. If you haven’t decided on a generator brand yet, we recommend doing some research and paying close attention to the warranties. For Generac generators, the product warranty is 3 years of full coverage for any factory defects. We recommend talking to your preferred generator installer such as Morrill Electric to inquire further about what issues will fall under the 3 year warranty. Who will install & maintain the equipment. If you purchase a home generator, you will most likely need to contact a certified generator installation company in your area. Morrill Electric is the leading Generac generator installation company north of Boston, so you can rest assured that our electricians have the industry knowledge needed to properly install any type of generator. Always ask your chosen electrician about their history of installing generators, and if they have a reference list, feel free to contact someone from that list. Most electric companies will also provide maintenance work in the future. Ready to purchase your new automatic standby generator from Generac? Contact Morrill Electric and we’ll walk you through the installation process, features, and pricing. Get a free estimate online! Check out more of our service areas!